Scylla is a reimplementation of Apache Cassandra that has been demonstrated by us and third parties to perform up to 10x better than Apache Cassandra. After roughly 3 hours (10,000 seconds), we fire a latency-oriented, workload from another loader, using only 40 threads. The reads, however, are random and spread throughout the whole range, forcing them to be served from the disk. Hardware is becoming cheaper and bigger. This trend is exemplified by AWS’ recent release of the i3 server class with up to 64 vCPUs and 16 GB/s of NVMe disk throughput, which Scylla will soon support. We believe that users will benefit from easier maintenance and fewer failures with fewer, larger nodes. 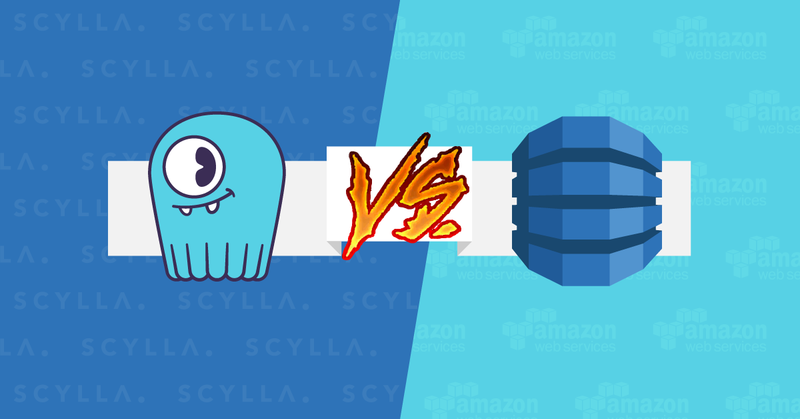 However, Scylla consistently outperforms Cassandra even in situations with constrained resources. At peak throughput, Scylla is able to handle data ingestion faster than Apache Cassandra, and it does so at lower high percentile latencies without creating a compaction backlog or requiring manual tuning of compaction rates. When compared at an equivalent rate lower than the point of saturation, Scylla is able to maintain latencies that are more consistent and up to 10 times lower than Cassandra for the 99.9th percentile. For this test, we tested DataStax Community Edition, based on Apache Cassandra 3.0.9. We configured the Apache Cassandra VMs in accordance with the official Datastax guide that can be found herehttps://docs.datastax.com/en/landing_page/doc/landing_page/recommendedSettingsLinux.html, optimizing for SSDs.